March 1998, a news report regarding a gay adolescent committing suicide brought shock and pain to several LGBT rights activists. The news inspired friends and allies from four different organizations including Gay Counselors Association, Queer & Class, LGBT Civil Rights Alliance and Gay Teachers’ Alliance to establish a permanent organization. As a result, Taiwan Tongzhi Hotline Association was given birth to provide LGBT members a channel for recognition and emotional support. 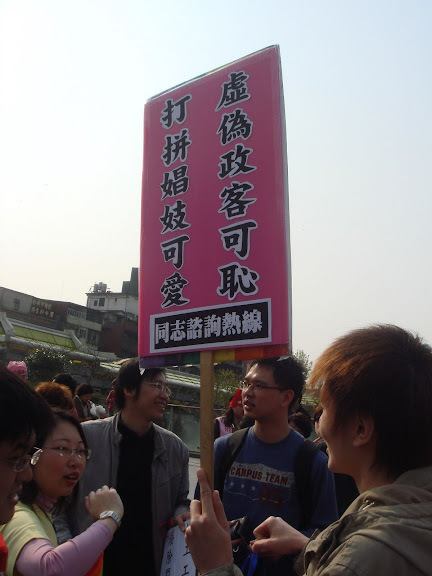 However, Hotline soon came to realize that taking phone calls was not enough, many gays and lesbians were still faced with serious discrimination and prejudice in Taiwan. Hence, Hotline filed a registration application to the Ministry of Interior on June 9, 2000, becoming the first registered national LGBT organization. With ideas of peer counseling, support network and community center, Hotline anticipated eliminating discrimination and unjust treatment towards the LGBT community. Hotline and TG Butterfly Garden set up a hotline for transgenders in 2008.